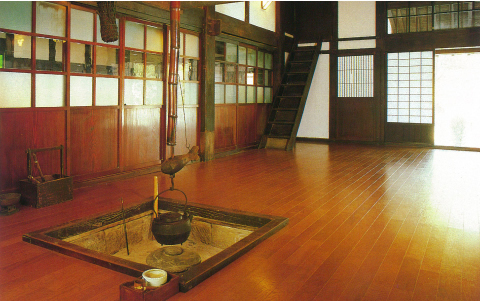 The large two-story wooden mansion of Hotaru-tei is stretched out over a surface of over 600 square meters. 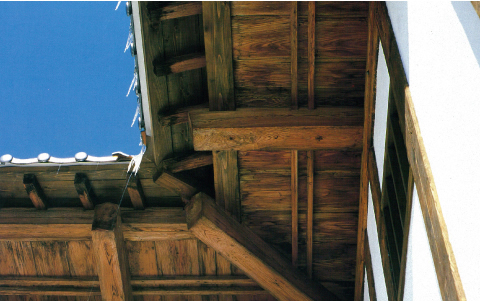 Its beautiful beams and pillars, especially the massive central beam, are eye-catching throughout the building. 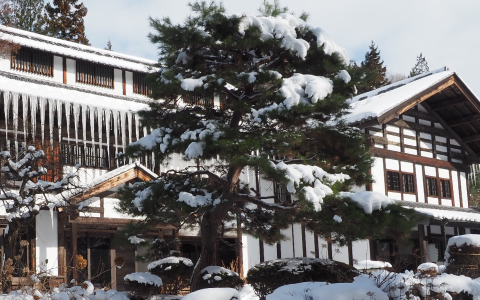 Built in 1850, the late Edo Period, in the snow-heavy Niigata Prefecture, Hotaru-tei got transported to Nagano's Kanbayashi Onsen in April 1987. The craftsmanship that got into building the mansion is worth seeing for yourself. 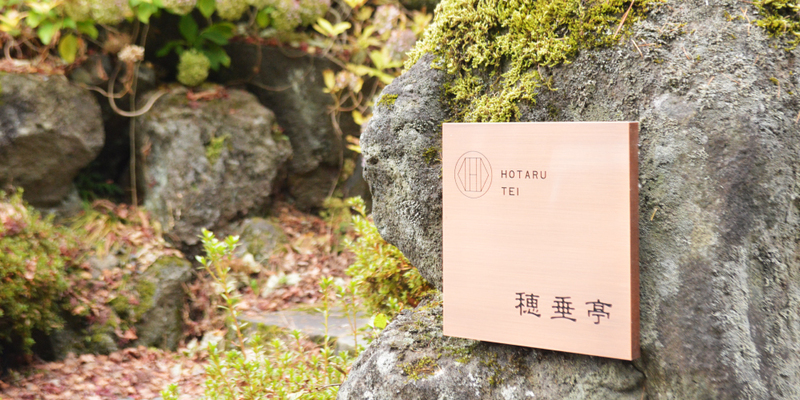 From the perspective of both history and architecture, Hotaru-tei is a cultural asset. 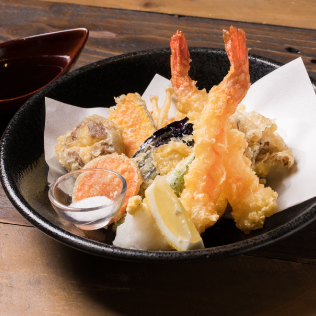 Kanbayashi Onsen, the area where Hotaru-tei is situated, is set at the base of the mountains of nature reserve Shiga Kogen. 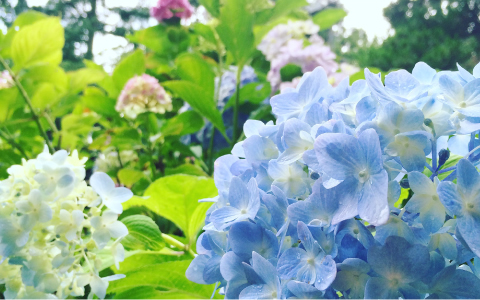 This hot spring resort is surrounded by nature on all sides, with a view over the Five Peaks of the Northern Alps, and has a tranquil, time-stood-still type of atmosphere. 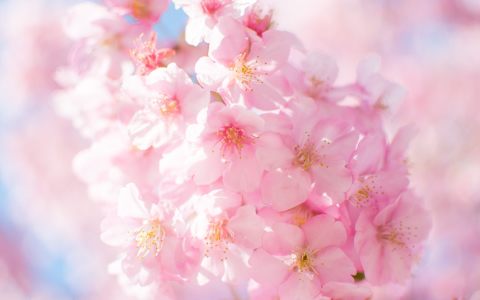 In spring many of the trees bloom bright with cherry blossoms, in summer the trees show a fresh green. Autumn brings burning red and orange leaves wherever you look, and the season of winter a thick layer of crystal snow. 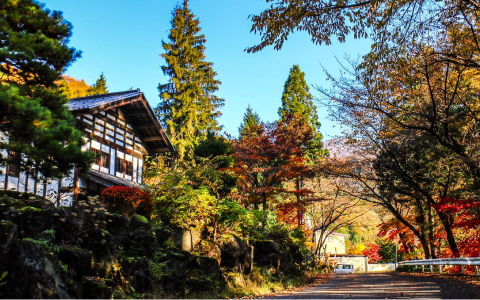 Enjoy the brightly colored four seasons of Japan as people visiting the Kanbayashi Onsen region have for centuries. 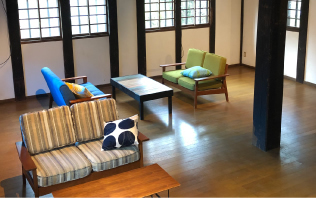 The 150-year-old building has been renovated to preserve the traditional atmosphere, but also to add a modern component to the interior. 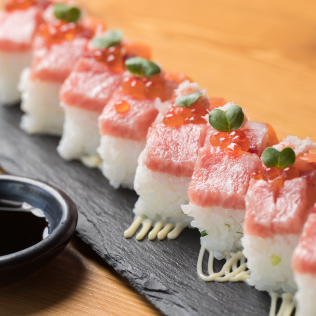 Relax and enjoy the bright, open space during lunch. At dinner, the historic mansion is illuminated to make for a magical environment. On the first floor there are 50 table seats, and 8 counter seats. 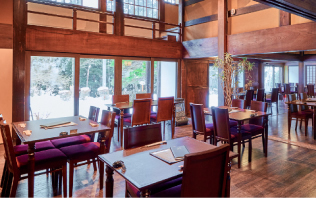 The spacious second floor has over 40 seats with a private room as well as sofa seats. 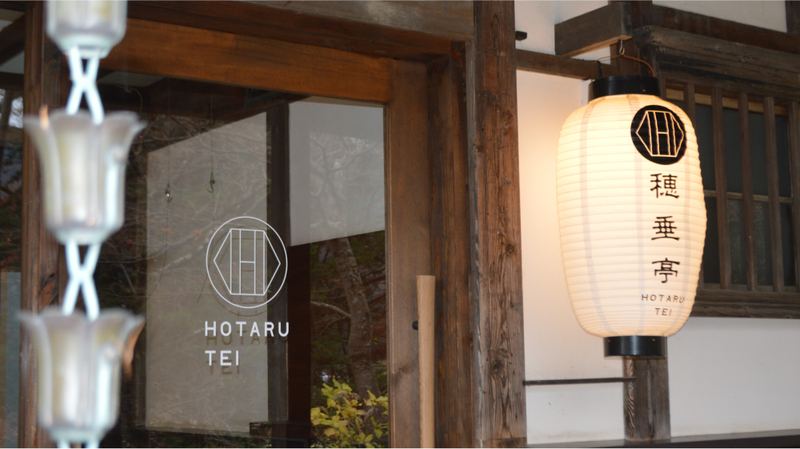 From light lunches to tour groups, friendly gatherings to formal dinners, Hotaru-tei has the perfect space for all occasions. 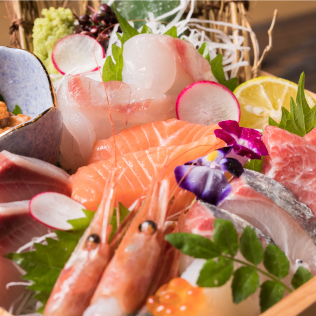 Main dishes at Hotaru-tei are Japanese delicacies sushi and shabu-shabu, prepared with high quality ingredients. The crystal-clear water of the Nagano mountains is drunk by the cows in the prefecture. 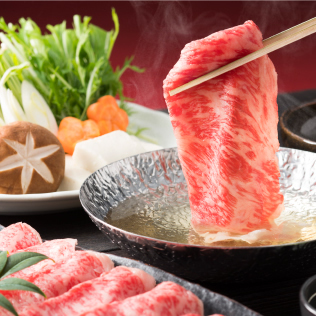 These cows are made into wagyu - Japanese beef - which melts in your mouth. 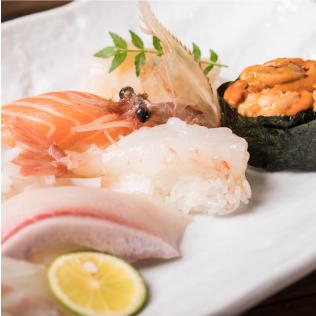 Besides the delicious beef, the fish used for sushi is purchased from fish markets at the Sea of Japan, and is rich of taste. 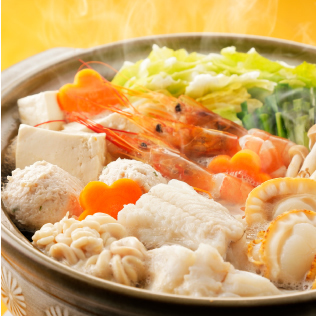 Other ingredients used are local vegetables such as mushrooms and Nozawa leafs. 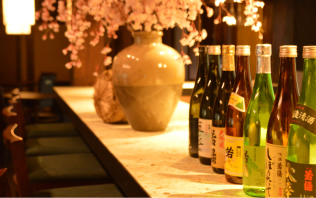 Enjoy your lunch or dinner with locally brewed sake, the perfect accompaniment for traditional Japanese food.